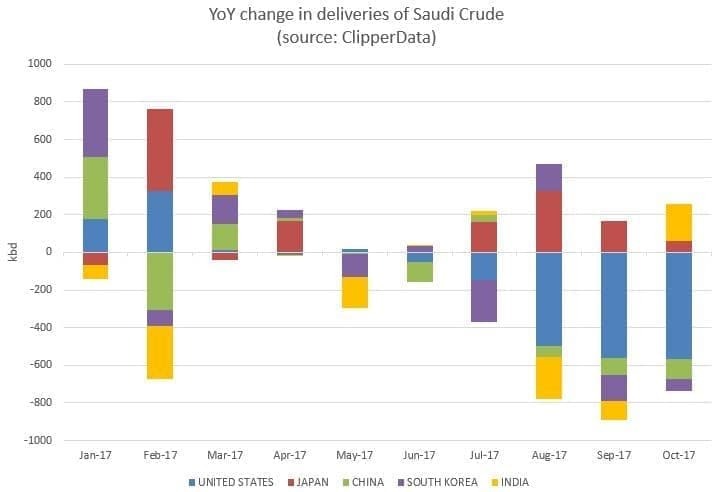 The chart below highlights the hangover from Saudi Arabia's late 2016 export ramp-up, which translated into a big year-on-year increase in January deliveries of 730,000 bpd into Saudi's top five suppliers. South Korea was the biggest beneficiary, accounting for nearly a half of this increase. But as we have moved through 2017, the year-on-year increases have turned into deficits - with the drop in flows to the U.S. particularly pronounced. 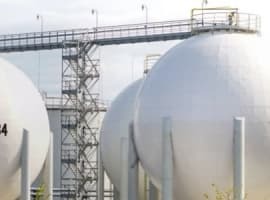 Japan has seen deliveries hold up best, receiving more crude on a year-over-year basis for the past four consecutive months. China has received less crude on a relative basis in four of the last five months, while South Korea has seen a deficit in three of the last four. Nonetheless, as we keep harping on...the U.S. is feeling the brunt of lower Saudi exports - something which is set to persist. 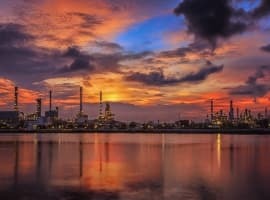 As Saudi dials back on its exports to the U.S., it is cutting flows in particular to its Motiva Port Arthur refinery - the largest in the country. This theme of buoyant Iraqi deliveries is reflected across the four largest recipients of its grades: India, China, the U.S. and South Korea. 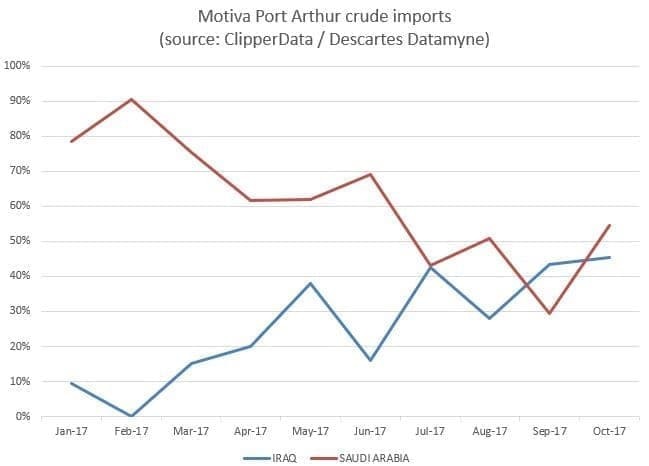 While Saudi has dialed back to the U.S., more Iraqi crude has been delivered on a year-over-year basis in nine out of the last ten months. India has also received higher volumes year-on-year for the last four months. China has been a bit more mixed, receiving lower volumes in recent months - although this may be linked to lower exports to the country in general. This rise to Iraq's largest markets has not been at the expense of other countries - they have received more crude in every month through the first half of the year than in 2016, although this has fallen to a deficit in three of the last four months. 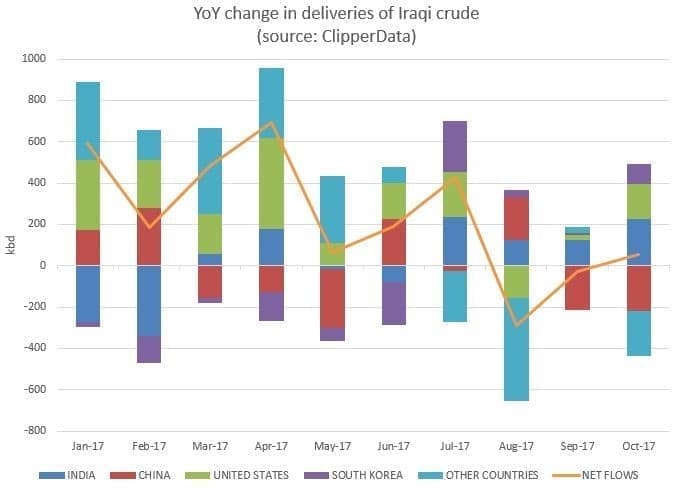 This is because total Iraqi deliveries - although moderating - have been higher on a year-over-year basis in eight of the last ten months. For whatever reason, probably needing the cash, Saudi Arabia has decided to cut production and drive up the price of oil providing enormous help to its enemy Iran. In doing so its clearly damaging its own market share in critical markets like Asia. That will haunt it in the future because with a world awash with oil and huge amounts of capacity being idled for the sole purpose of trying to push up the price of oil, which will help Iran the most, there will be no reason for those markets to go back to the Saudis as the USA and others pick up production, or cheat, to take advantage of $50 plus, even $60 plus oil. 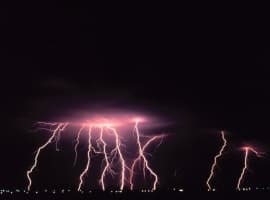 Fracking was profitable at $50 in the USA, at over $60 the spigots will get turned on, and other countries will follow the U.S. lead on fracking. For those that benefit from lower oil prices this spike over $60 is a sure fire way to turn up the flood of oil and gas into the market.